Grocery Coupon Network Offers Free Coupons, Samples, Deals and Hot Offers – All Free! Join the Grocery Coupon Network for free and receive popular coupons, special offers, and deals! Using the Grocery Coupon Network is an easy way to save on food costs, find printable grocery coupons, and enjoy recipes with nutritional information. Take advantage of these free coupons, local groceries bargains, popular sample items, yummy recipes, and useful savings tips. The Grocery Coupon Network features a convenient way to find coupons using Facebook along with valuable information on grocery shopping, coupon clipping, cooking, and saving money. At your fingertips are popular cooking recipes and food nutrition facts to help you find that perfect meal or eat healthy. When you are ready to shop, search their list of local grocery stores for a location near you. Make life easier. 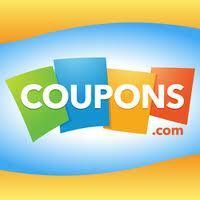 Let them search the internet for free printable grocery coupons and provide them to you in one spot. Avoid the hassles of finding and printing coupons one by one. And while you are at it, be sure and search their large collection of recipes and nutritional information for that perfect meal. So what are you waiting for? Join the GroceryCouponNetwork today. New Printable Grocery Coupons – FREE! Cookies, Meat, Meals, Personal Care & More! Save BIG with these new coupons! Simply click and print your free coupons below! $0.40 off any 2 Pillsbury Grands! or Sweet Rolls – Sweets for the sweet… a great way to start any day. Personal Care Products – Getting all dressed up?